My current cocktail favorite is the Moscow Mule. I love the refreshing combination of the Ginger beer and the mint. Recently, I was experimenting with new cocktail creations, and stumbled upon a Homemade Mint Limoncello Mule Recipe, which I made using my homemade Mint Limoncello, find the recipe here. It turned out delicious, so I figured it was my duty to share the lemony-goodness with all of you! Mix Ginger Beer, ice, and Mint Limoncello in a pitcher, stirring to mix well. Optional: muddle the basil leaf and mint. 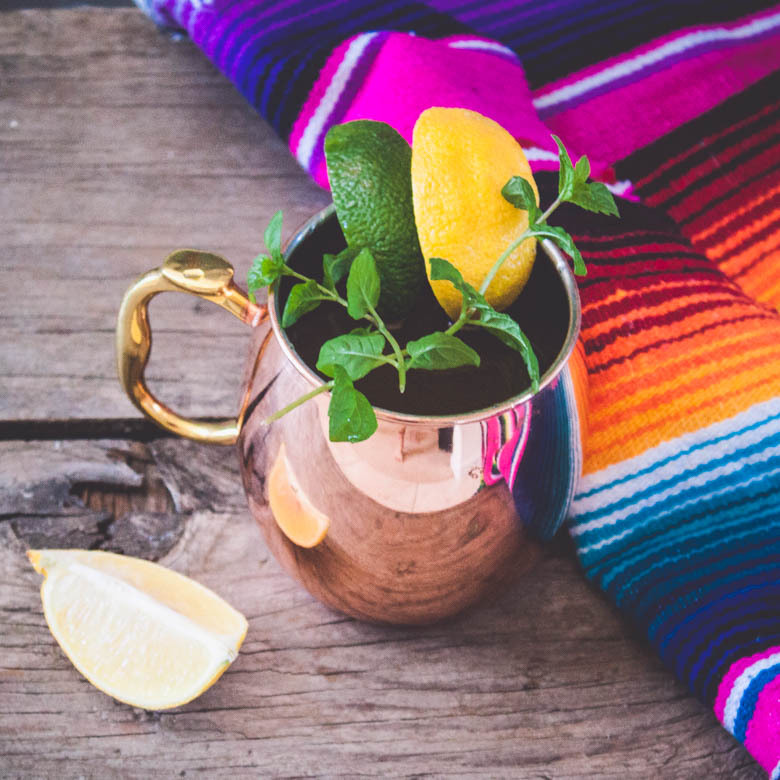 Pour all ingredients into a chilled copper mug and garnish with fresh lemon. Serve immediately. Enjoy!